Looking for an efficient, always available and cost-efficient way to geolocate your assets? 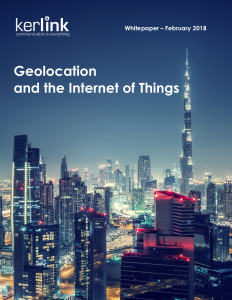 Kerlink Wanesy Geolocation solution helps you locating your end-devices without GPS thanks to LoRa® IoT Network. The solution is based on trilateration, relying on three or more LoRaWAN gateways receiving precise time-stamped signals. Time Difference on Arrival (TDOA) is then converted into the distance between the gateway and the end-device, obtaining then its location. This solution can be integrated within our Wanesy Management Center and is also compatible with other LoRaWAN Network Server (LNS). It is available in Saas or “On Premises” mode. Geolocation is easy to deploy and to run, each LoRaWAN end device being natively potentially located without the need to add a costly GPS module inside the device, dramatically optimizing power consumption (up to 10 times less) and cutting device hardware cost. No additional hardware is required, assuming that gateways are geolocation-ready (like the Kerlink Wirnet iBTS Gateway). By offering the possibility to locate static or mobile end-devices positioned in outdoor or indoor areas, without a dedicated infrastructure and consuming less energy, geolocation through LoRa® technology is most suited for use cases where accessibility (hence battery life) and cost are critical. Various use cases can be served, like assets tracking and security in harbors, airports or industrial sites, livestock tracking and safety, construction site monitoring, or warehouse pallet identification, among many others! Want to meet a sales person?